The International Consumer Electronics sure brings a lot to talk and get excited about. 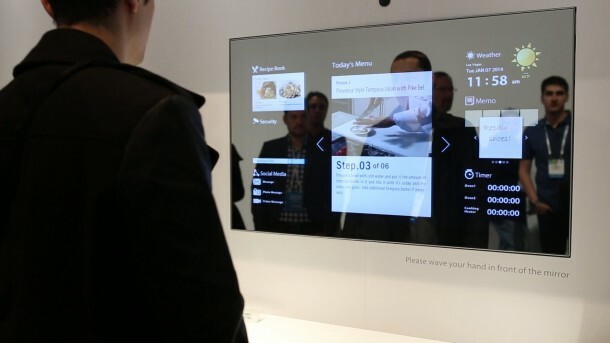 The recent, CES 2014 in Las Vegas was no exception when it comes to bringing out new ideas and concepts to the table. 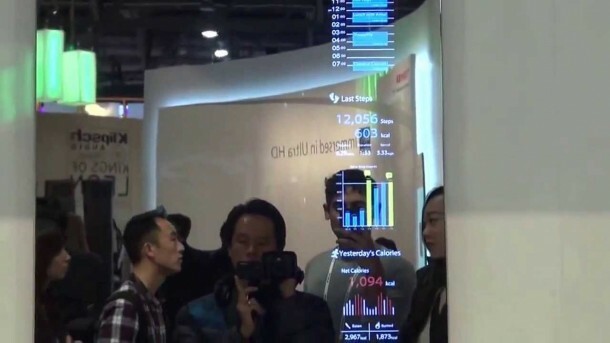 This year’s CES also featured the new Smart Mirror by Toshiba. People stood in amazement while they saw this amazing gadget in action. Although there is very little information pertaining to the gadget itself and how it works, it sure brings back memories from all those science fiction movies and promises to convert those fantasies into reality. The gadget is being called ‘Multi Display in Black Mirror’ and the key idea revolves around providing you with benefits of a tablet in conjunction with a everyday mirror. Two environments were exhibited which made use of this gadget; washroom and kitchen. The washroom setting focused on providing the user with weather details, fitness monitor and other such information. The system in kitchen is what made this gadget the eye candy it is. The gadget will be able to assist the users in making a recipe or making use of one already present in the database and it even allows for adjustments in recipe to suit personal taste. The kitchen environment had another design tweak incorporated in it as well. 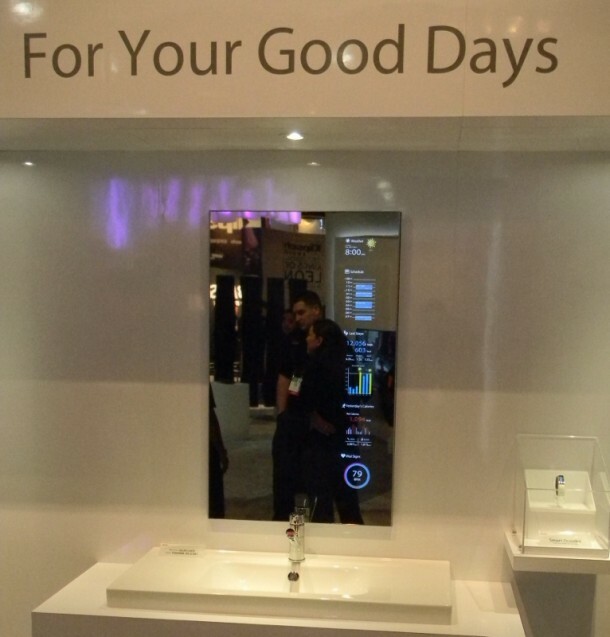 The user was able to carry out interactions with the mirror using a camera, something like how the Kinect works with an Xbox. If everything works out we might not be very far from the house of future that we are promised. We might have these smart mirrors installed at a number of places inside our homes and might very well prove useful in in the long run.